South Sulawesi is a province located in the southern part of Sulawesi Island. This province consists of 21 regencies and 3 cities. Makassar is the capital of the province. South Sulawesi has a complete landscape from lowland, highland, coastal and aquatic. For example, Makassar City and Bone Regency are located in the lowlands; Tana Toraja and Luwu Regencies are located in the highlands; the cities of Makassar, Pare-Pare and Palopo are located on the coast; Pangkajene and Selayar Regencies are islands. South Sulawesi can be accessed by planes through Sultan Hasanuddin International Airport at Makassar. Flights depart from major cities in Indonesia. International flights depart from Kuala Lumpur and Singapore. The ships that sail from Java, Kalimantan and Maluku anchor in Soekarno Hatta Makassar Seaport. There are also cross-Sulawesi buses that depart from the provinces in Sulawesi. South Sulawesi has a friendly society with diverse cultures. Its natural beauty extends from the coast to the mountains. Many of the historic buildings of the Dutch colonial period are well preserved. So guys, let’s find out the top things to do in South Sulawesi Indonesia. 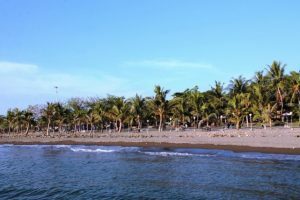 The number one of top things to do in South Sulawesi is visiting the famous Losari Beach. 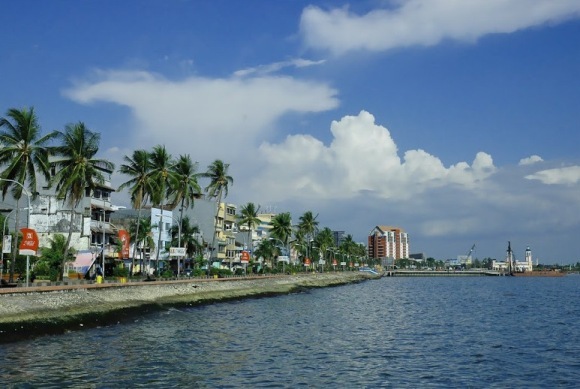 The beach is the icon of Makassar city which becomes the pride of Makassar people. This roadside beach is crowded in the afternoon and evening. Although there is no white sand on Losari Beach, here visitors can enjoy the breeze and the beauty of the waves breaking the beach embankment while watching the amazing sunset. In the evening the beach area turned into a culinary tour. Along the coastline sellers line up selling typical food Makassar such as grilled banana, konro soup, coto Makassar, ice palu butung, ice green banana and ice ginger milk. There is also a floating restaurant near the beach that provides delicious food at affordable price. 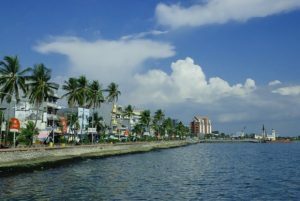 Losari Beach is located at Penghibur Street, Makassar. It’s free entry. The second on our list is visiting Akkarena Beach. On this beautiful black sandy beach the coconut trees lined the coastline. The quiet atmosphere calms the heart and mind. Visitors can swim, play banana boat, jet ski, canoe and enjoy the romantic sunset. There are also outbound facilities, fly spots, and benches to relax. After swimming or playing water visitors can clean themselves in the rinse rooms. Visitors can also enjoy various food and beverages sold in the beach area. In addition the operator of Akkarena Beach provides a large parking lot to ensure the comfort of visitors. At night the beach is enlivened with decorative lights and spotlights. The beach is situated not far from the city center. Akkarena Beach is located at Tanjung Bunga Street, Makassar. The admission price is Rp 10.000. Parking fee is Rp 3.000 for motorcycle and Rp 5.000 for car. Opening hours is 6 am to 10 pm. 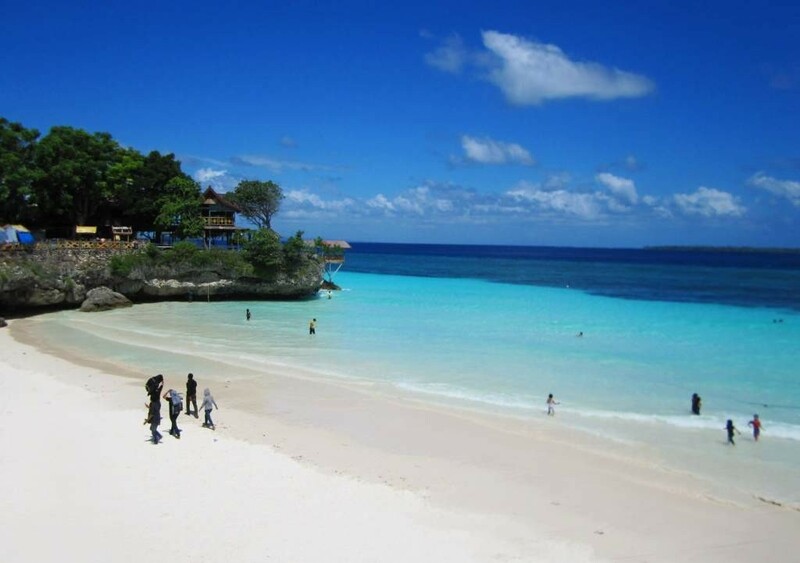 Tanjung Bira Beach is located at the southern tip of South Sulawesi Province. The beach is not less beautiful with beaches in Bali or Lombok. Tanjung Bira Beach looks clean and neat. Its white sand has a soft texture. The sea water has a beautiful blue gradation. Rows of coconut trees and coral reefs makes this beach looks amazing. Visitors can sunbathe, swim, dive, or snorkel. No need to bother, they can rent diving equipment here. The open sea was visible as far as the eye could see. Therefore visitors can enjoy the beauty of sunrise and sunset without a hitch. Around the beach there are inns with varying prices. Tanjung Bira Beach is located in Bonto Bahari, Bulukumba Regency. It’s around 200 km from Makassar or about 5 hours drive. The admission price is Rp 10.000 for domestic tourists and Rp 20.000 for foreign tourists. 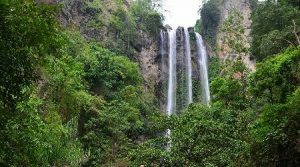 One of tourist attractions in South Sulawesi that is popular in social media is Tama’Lulua waterfall. This waterfall has a height of perhaps about 100 meters. From the parking lot visitors need to walk about 15 minutes to get to the waterfall location. Along the uphill and rocky path visitors can enjoy the scenery of bamboo forest and corn fields. But all the fatigue will be paid upon arrival at the waterfall. The roar of the waterfall and the splashing of the water on the face are so refreshing. A splash of water that is exposed to the sun occasionally creates a beautiful rainbow. It’s a perfect place to hide from the hustle and bustle of the city. 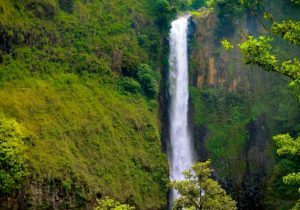 Tama’Lulua Waterfall is located in Ramba Village, Rumbia, Jeneponto Regency. It’s about 90 km from Makassar or 3 hours drive. The admission price is Rp 5.000. The parking fee is Rp 2.000 for motorcycle and Rp 5.000 for car. Opening hours is 8 am to 5 pm. Takapala waterfall is a favorite of Makassar residents. This waterfall has a height of about 100 meters with heavy flow. The flow of a swift waterfall produces a mist so that occasionally a rainbow forms when it comes to sunlight. At the bottom of the waterfall, behind the waterfall curtain, visitors can find a small cave. Visitors must walk through the waterfall curtain to get to this cave. Visitors are advised to be careful when playing water here considering the heavy flow of the waterfall. After playing water, visitors can relax in the stalls around the waterfall while enjoying hot tea and fried bananas. Takapala Waterfall is located in Malino Village, Tinggimoncong, Gowa Regency. It’s about 2 hours drive from Makassar. The admission price is Rp 2.000. Opening hours is 8 am to 5 pm. 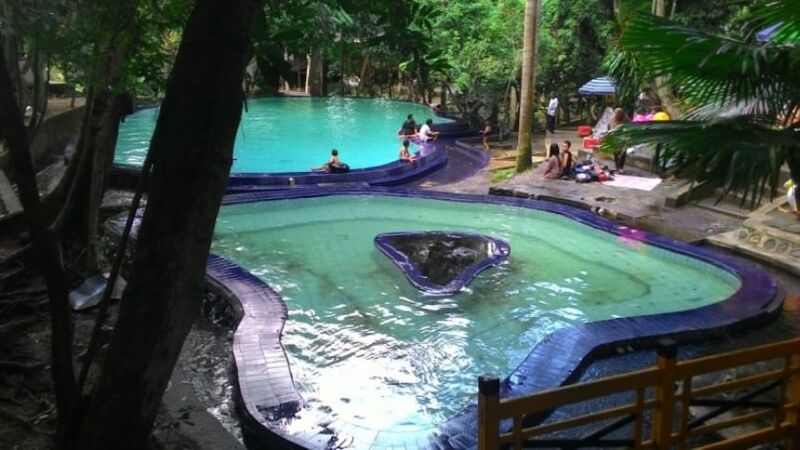 Lejja hot spring is situated in a hilly forest with beautiful panorama and cool atmosphere. The hot spring that comes out of the ground has temperatures around 60 degrees Celsius with 1.5 percent sulfur content. The surrounding community believe this hot spring can cure various skin diseases and rheumatism. Lejja Hot Spring has three open pools with varying depth. There are also closed pools for visitors who want privacy. The place has been equipped with toilets, rinse rooms, locker room, cottage, tennis court and meeting room that can accommodate 300 people. In addition there are stalls selling souvenirs and snacks at affordable price. Lejja Hot Spring is located at Bulue Village, Marioriawa, Soppeng Regency. It’s about 4 hours drive from Makassar. The admission price is Rp 10.000 on weekdays and Rp 12.500 on weekend. The parking fee is Rp 5.000 for motorcycle and Rp 10.000 for cars. It opens 24 hours but is closed on Friday. Bantimurung National Park is in the north of Makassar. Since 2004 the park became a conservation area. A cool atmosphere typical of the mountains make visitors feel at home linger here. Visitors can enjoy the beauty of the waterfall, explore the caves inhabited by bats and see the diversity of butterflies that becomes the main attraction of this park. 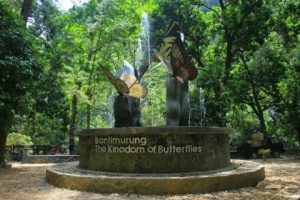 Bantimurung National Park has more than 250 species of butterflies, some of which are only found in South Sulawesi such as Troides Helena Linne, Troides Hypolitus Cramer, Troops Haliphron Boisduval, Papilo Adamantius, and Cethosia Myrana. No wonder Bantimurung is known as The Kingdom of Butterfly. There is also a butterfly museum where visitors can learn all about butterfly. Bantimurung National Park is located in Maros Regency. It’s about one hour drive from Makassar. The admission price is Rp 25.000. Opening hours is 8 am – 5 pm. 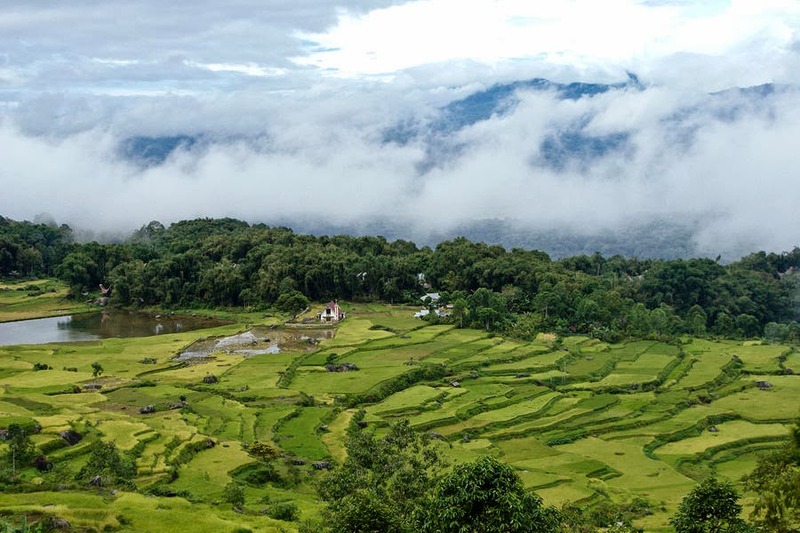 Malino Tea Plantation is in Malino Tourist Area. The plantation is situated at an altitude of 1,200 above sea level with an area of about 200 hectares. Visitors can go for a stroll to enjoy the cool atmosphere, see the enchantment of the green plantation, or breathe in the scent of fresh tea leaves. At the top of the tea plantation there is a Japanese-style café. Here visitors will be presented green tea and black tea that are picked and processed directly in Malino Tea Plantation. 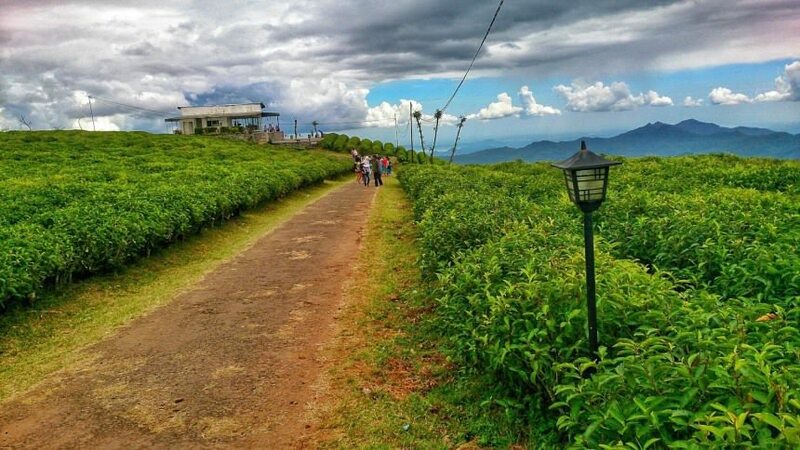 In addition to visiting tea plantation, in this area visitors can also see the waterfall, enjoy the beauty of the flower garden, and explore the mini zoo. Malino Tea Plantation is located in Malino Village, Tinggimoncong, Gowa Regency. It’s about 2 hours drive from Makassar. The admission price is Rp 50.000 for adults and Rp 25.000 for children. Kete Kesu is a cultural heritage in Tana Toraja that is famous for its Tongkonan compound (Tana Toraja traditional house). Some Tongkonans are about 300 years old. Visitors can see the splendor of Tongkonan which is equipped with buffalo horns. The more storied buffalo horns installed in front of the Tongkonan, the higher the social status of the owner of Tongkonan. 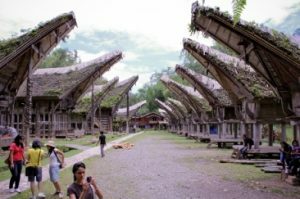 Although the Tongkonans in Kete Kesu are unoccupied, they are still well maintained and used as a meeting place or a place to hold traditional ceremonies. In addition visitors can also see the coffins that are hundreds of years old. The coffins are only placed on the ground, some are hung on a cliff, and some are inserted in the cave. It is said that in the coffins there are treasures belonging to the corpse. Kete Kesu is located in Bonoran Village, Sanggalangi, North Toraja Regency. It’s about 8 hours drive from Makassar. The admission price is Rp 10.000. Opening hours is 8 am – 5 pm. Batutumonga is situated on the slopes of Mount Sesean, the highest mountain in Tana Toraja. 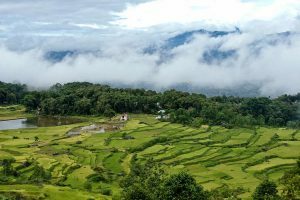 From this place visitors can see the beautiful scenery of the mountains, rice fields and valleys while enjoying a quiet and cool atmosphere. Seeing the beauty of the sunrise is certainly not to be missed. Visitors will be fascinated by by the morning sunshine that pierce the clouds around Batutumonga. Visitors can stay overnight so that the next day they can watch the seconds the sun begins to rise. There are many inns available at varied prices. There are also many restaurants serving both local and western menus. Batutumonga is located in Sesean, North Toraja Regency. It’s about 9 hours drive from Makassar. Somba Opu Fort was built by the 9th King of Gowa in 1545. But the fortitude of this fort was destroyed by Dutch troops in 1669 after conquering the Kingdom of Gowa. Visitors can only see the ruins of Somba Opu Fort. The still-standing wall looks very thick and seems to be made of red brick. Based on documents in the Museum Makassar, Somba Opu fortress has a rectangular shape with an area of 1,500 hectares and extends 2 km from west to east. 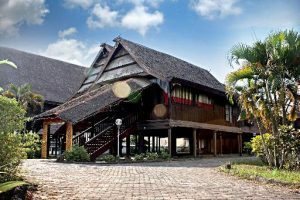 In addition to the fort, here visitors can also see the replica of traditional houses in South Sulawesi such as traditional houses of Makassar tribe, traditional house of Bugis tribe, traditional house of Toraja tribe and traditional house of Mandar tribe. 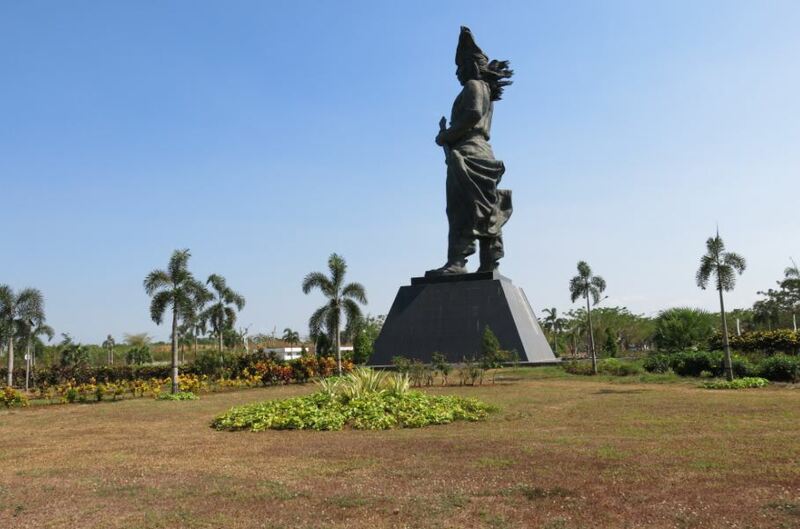 Somba Opu Fort is located at Daeng Tata Street, Barombong, Gowa Regency. It’s about 30 minutes from Makassar. The admission price is Rp 2.000. Opening hours is 8 am – 5 pm. Initially the fort was named Panyyua Fort and was built by the 9th King of Gowa in 1545. When the Kingdom of Gowa lost the war with Dutch troops, the fort was taken over by the Dutch and its name was changed to Rotterdam Fort. The fort was later used by the Dutch as a spice shelter in eastern Indonesia. The Fort Rotterdam area is surrounded by a 3 meter high wall. Inside the fort there are two-storey buildings with typical Dutch architectural style and in the center there is a beautiful green park. 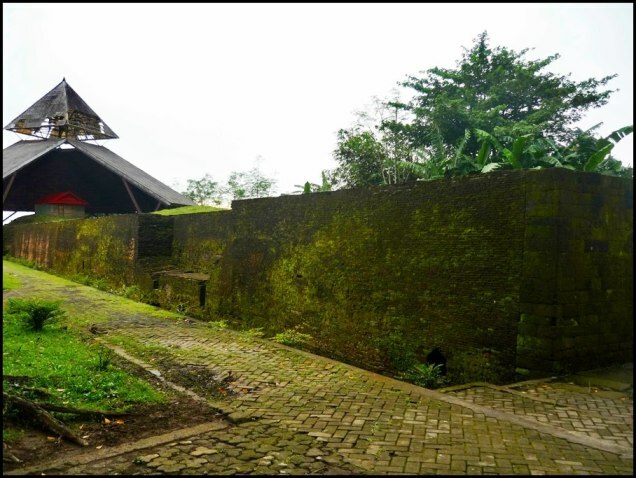 In addition visitors can also see the prison of Prince Diponegoro. It is believed Prince Diponegoro died in Rotterdam Fort. Inside the fort there is also a museum that displays the history of life of the people of South Sulawesi. Fort Rotterdam is located at Ujung Pandang Street, Makassar. The admission price is free, but for the museum it costs Rp 5.000 for domestic tourists and Rp 10.000 for foreign tourists. Opening hours is 8 am – 6 pm. Balla Lompoa Museum was once a royal palace built by the 31st King of Gowa in 1936. 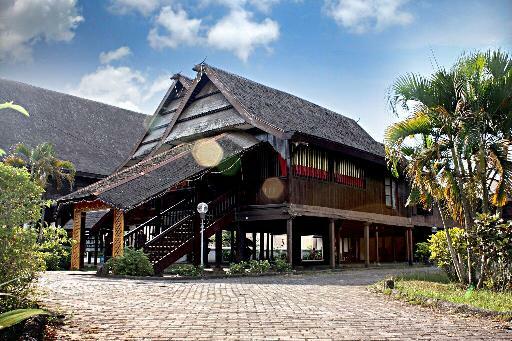 The museum has a typical Makassar stage house and store objects that are relics of the Kingdom of Gowa. For example there are various types of badiks (Bugis and Makassar traditional weapons), machetes, spears, ancient pistols, and ancient cannons. In the central part of the museum there is a throne and a king’s crown made of gold along with the record of the rulers of the Kingdom of Gowa. There is also a collection of ceramics and pottery of various shapes. At Balla Lompoa Museum visitors can learn the greatness of the Kingdom of Gowa in the past. 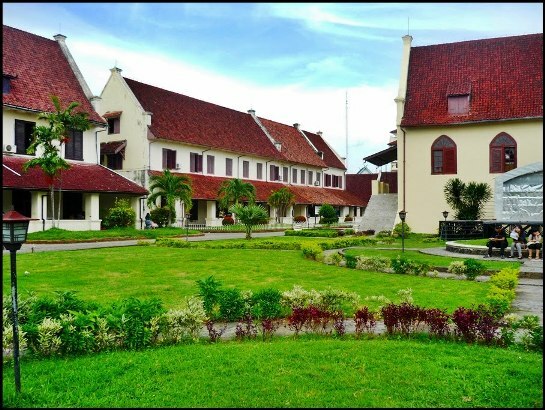 Balla Lompoa Museum is located at Sultan Hasanuddin Street, Sungguminasa, Gowa Regency. It’s about 30 minutes from Makassar. The admission price is free. Opening hours is 8 am – 5 pm. Makassar – Bugis tribe is a great sailor. 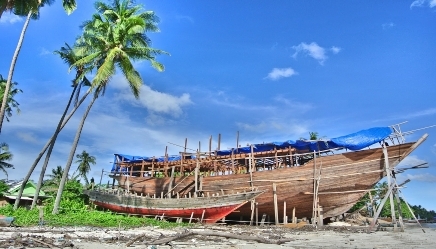 They sailed to Singapore, Philippine, Australia and Madagascar using the famous Phinisi boat. Phinisi boat has been around since the 14th century AD. The first Phinisi boat was made by the Prince of Luwu to sail to China to propose a Chinese princess. The manufacturing of Phinisi boat combines technical skills and magical powers. Each stage of manufacturing always begins with traditional ceremonies, from the search for wood as raw materials to the launch of the boat to the sea. Bulukumba Regency is known as the manufacturing center of Phinisi boat. Although in modern times, the workers keep manufacturing Phinisi boats in the traditional way. They maintain a tradition inherited from their ancestors. Currently they not only make the real boats, but also the miniature of Phinisi boats that are in great demand by tourists. The price of the miniature of Phinisi boat varies, ranging from Rp 150.000 to Rp 2.000.000. The manufacturing center of Phinisi boat is located in Tana Beru Village, Bontobahari, Bulukumba Regency. It’s about 5 hours drive from Makassar. Trans Studio Makassar is the largest indoor park theme in Indonesia. Having fun here visitors do not have to worry about the heat or rain. Trans Studio has 21 rides with different themes. Among them are carousel, giant windmill, wind bike, mini train and mini car. Some rides charge extra because they are not included in the ticket package. Every month there is a special show for visitors. Trans Studio also has a discount package for its customers. 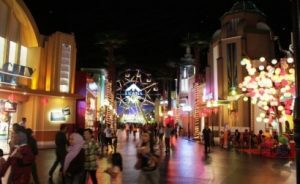 To find out the existing promotional programs, visitors can check on the website of Trans Studio. In addition Trans Studio has many restaurants serving delicious food. Trans Studio Makassar is located at Daeng Patompo Street, Metro Tanjung Bunga, Makassar. 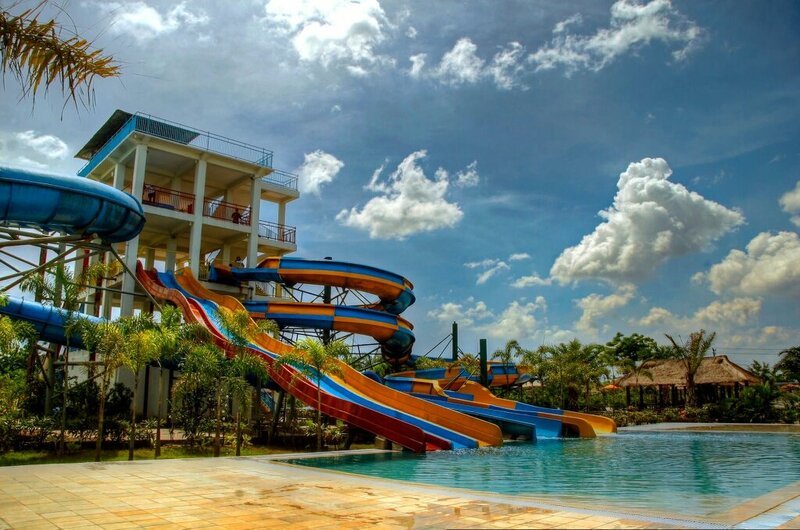 The admission price is Rp 110.000 on weekdays and Rp 160.000 on weekend. Opening hours is 9 am – 10 pm. Gowa Discovery Park is situated next to Somba Opu Fort. The park combines waterboom rides, bird parks and outbound. If visitors want to enjoy all three, they can buy a full ticket. If visitors just want to visit one of them, visitors simply buy a separate ticket. The waterboom rides are the most popular. There are various pools like flow pool, family pool, children’s pool, spilled bucket pool and waterslide pool. The park also has been equipped with facilities such as changing rooms, rinse rooms, praying room, cafeterias and parking lot. Gowa Discovery Park is located at Daeng Tata Street, Barombong, Gowa Regency. It’s about 30 minutes from Makassar. The full ticket is Rp 85.000 on weekdays and Rp 100.000 on weekends. Opening hours is 9 am – 6 pm. Well guys, now you know the top things to do in South Sulawesi Indonesia. No doubt South Sulawesi has the best Places To Visit in Indonesia with its wonderful landscape and historic buildings. Let’s visit South Sulawesi Indonesia..!